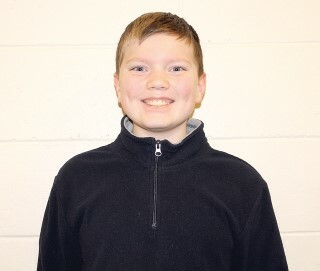 Lachlan Witten, an AE Team student at Jordan-Small Middle School, is The Windham Eagle’s Student of the Week. Witten states that he enjoys participating in scouts, drama, baseball and spends his free time speeding on Go Karts and Hot Wheels. Witten’s favorite movie is “Narito” and his favorite musical group is 21 Pilots. Witten lives at home with on annoying older brother and their dog, Lulu.